Show your Support – Write an Official Letter! Letters of support are an important way to support the project and to provide your input and perspective as to the potential impact this project could have on the local community – from inspiring healthy active lifestyles for our friends and families to providing opportunities for economic impact through eco-tourism. Letters of support provide a way to directly support the Vigo County Parks and Recreation Department and encourage them to support the project with staffing, resources and budget allocations. They also provide a way to support our volunteer Friends of Griffin Bike Park group and the important work we are doing to develop the park and programming for the park. 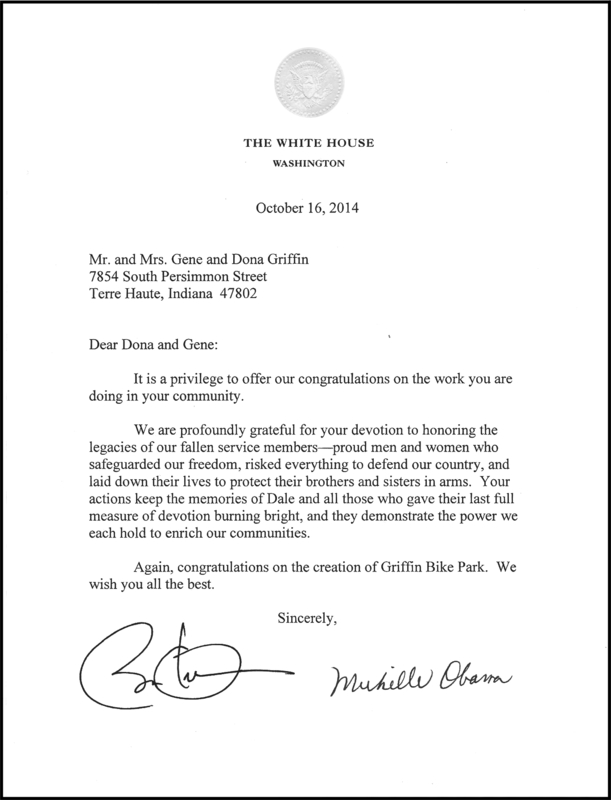 Send your letter of support to the Vigo County Parks and Recreation Department and the Friends of Griffin Bike Park to endorse the Griffin Bike Park! 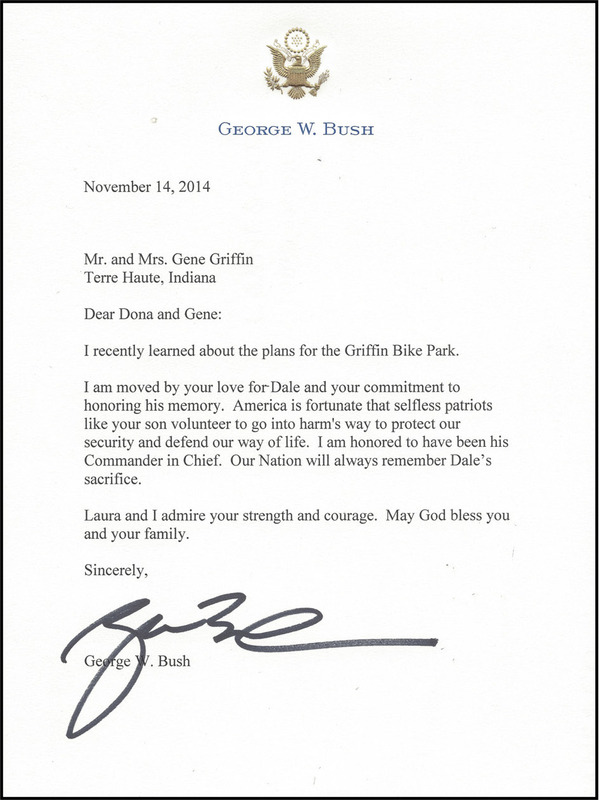 Check out these letters of support that the project has received from President The President of the United States Barack Obama and First Lady Michelle Obama and from Former President George W. Bush!